Dennis and I bought Haylee from a breeder in Stewartville in November of 2001. She weighed about 3.5 pounds when we got her at 8 weeks old. She shares the same birthday as Dennis, which makes her even more special. She is very loved and very spoiled especially from her "grandparents". 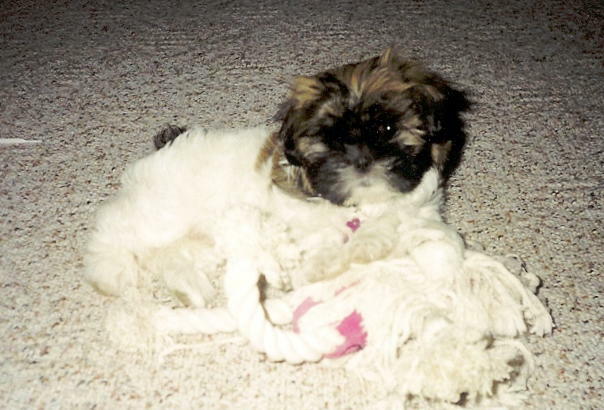 She also has two "aunts" who are also shih tzus, Bailee and Harlee who are her best friends.